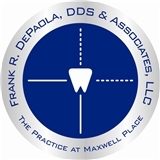 Frank R. DePaola, DDS & Associates (Hoboken) - Book Appointment Online! We improve the lives of our patients while building meaningful relationships. Our primary focus is on patient care and the patient’s experience. We achieve this high standard of care by building quality, lasting relationships with each and every patient. Everyone at our practice, from the practice manager to our highly skilled dentists, is committed to providing the high levels of personalized care that you deserve. We listen carefully to your concerns and desires in order to create a customized treatment plan that addresses all of your needs. I came in for the first time for a crown that came off - Dr. Frank and his staff were awesome. They have great offices with the latest technology. Highly recommend!